The Worlds Most Comfortable Shoes, Clogs, Boots, & More! 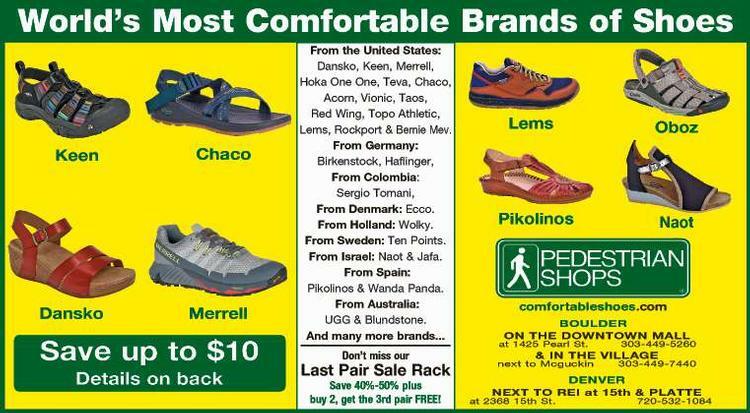 Pedestrian Shops is proud to be a top provider of the most comfortable shoes and footwear available. 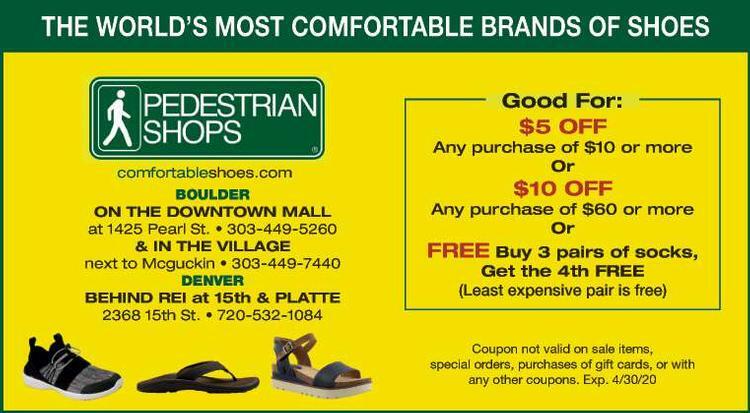 Whether you’re visiting one of our Boulder area shops in person, or enjoying our free shipping across the U.S., we know that you – and your feet – will be happy with your choice!